The Senate Committee on Banking, Housing, and Urban Affairs will begin confirmation hearings on Thursday for Dr. Ben Carson, the retired neurosurgeon and former presidential candidate President-elect Donald Trump selected to serve in his cabinet as secretary of Housing and Urban Development. Sen. Michael Crapo (R-Idaho) chairs the committee, and Sen. Sherrod Brown (D-OH), who is up for re-election in 2018 in a swing state President-elect Trump won handily in November, is the ranking member. Senate Minority Leader Chuck Schumer (D-NY) has not placed Carson on the list of eight Trump cabinet picks “Democrats will home in” on during confirmation hearings this week and beyond. But in a parting shot, outgoing HUD Secretary Julian Castro said he was “concerned about the possibility of going backward over the next four years” under Carson, his likely replacement at the department. There seems little likelihood, however, that Democrats will mount an effort to derail the cabinet nomination of a successful and well liked African American who rose from poverty in a rough neighborhood of Detroit to graduate from Yale Medical School and head up the pediatric neurosurgery department at Johns Hopkins at the young age of 33. “Apart from his personal views on a variety of political and social issues, we consider Dr. Carson completely unqualified to arrive at or promote solutions to the pressing housing and urban needs facing our country,” they wrote. None of the signatories are particularly well known outside narrow academic circles. For his part, Carson is quietly making his case to be confirmed, as he “met with several senators in preparation for his upcoming confirmation hearing” recently, including Sen. David Perdue (R-GA) and Sen. Chuck Grassley (R-IA). “Dr. 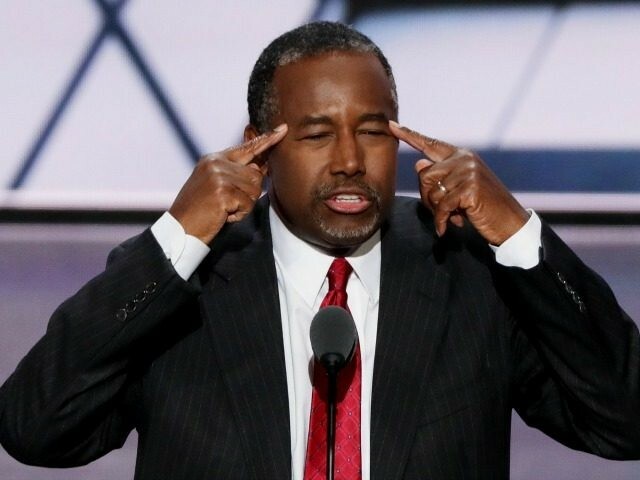 Carson’s heart for humanity is very impressive, and he will bring that commitment to this new responsibility to meet our nation’s diverse housing and development needs,” Perdue told Housing Wire. “I look forward to supporting Dr. Carson’s nomination and working together to roll back government regulations impeding economic growth so we can bring positive change to the most underserved communities in our country,” the Georgia Senator, who recently joined the Senate Banking, Housing, and Urban Affairs committee, added. Carson’s compelling personal story makes it difficult for Democrats and academic to generate enthusiasm for a concerted effort to stall his confirmation. Mr. Carson’s conservative views on government policy — coupled with the credibility his own remarkable story brings — worry experts who believe government should be doing more, not less, for the nation’s cities, where glittering downtowns and increasingly affluent neighborhoods are often surrounded by areas of poverty and violence, with predominantly minority residents. The Senate Committee on Banking, Housing, and Urban Affairs has 23 members: 12 Republicans and 11 Democrats. Several of the Democratic members face tough re-election battles in 2018 in states won by President-elect Trump. In addition to Sen. Brown in Ohio, committee members Sen. Jon Tester (D-MT), Sen. Heidi Heitkamp (D-ND), and Sen. Joe Donnelly (R-IN) also find themselves in that difficult political position. After Carson clears the Senate Committee on Banking and Housing and Urban Affairs, Democrats will be unable to stop his confirmation, which now requires only a simple majority, due to a rules change made by the Democrats under the leadership of recently retired former Senate Minority Leader Harry Reid (D-NV). Republicans hold 52 of the 100 seats in the Senate, and no Republican senator has indicated opposition to Carson’s confirmation as secretary of Housing and Urban Development.